In Iraqi Kurdistan, excavations carried out by a French archaeological mission have revealed an ancient city on the site of Kunara. Towards the end of the 3rd millennium BC, this city stood in the heart of an unknown kingdom: that of the mountain people, who had until then remained in the shadow of their powerful Mesopotamian neighbours. 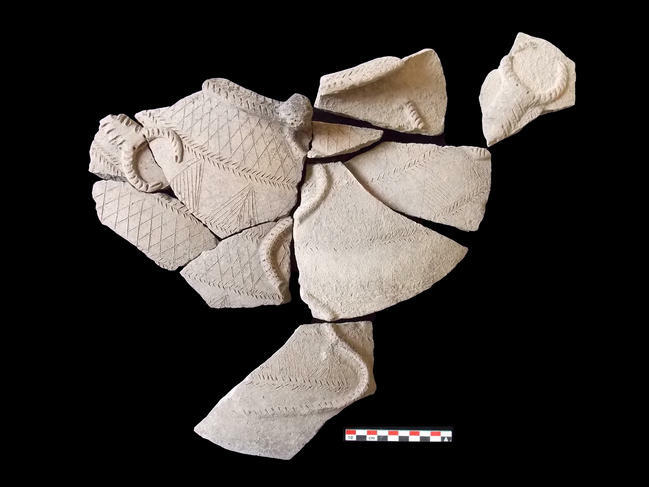 Over the course of six excavation campaigns, conducted between 2012 and 2018, the archaeologists unearthed the traces of an unexpected ancient city at the site of Kunara. It is located on the outskirts of the Zagros Mountains, on two small hills overlooking the right bank of a branch of the Tanjaro River, approximately 5 km southwest of the city of Soulaymaniyah (modern-day cultural capital of Iraqi Kurdistan). “This area near the Iran-Iraq border was not very well explored until now,” Tenu points out. The ban on venturing into Kurdistan under Saddam Hussein’s regime as well as successive wars—the most recent against ISIS—did not make things any easier. “The situation is much more favourable now,” enthuses the archaeologist, emphasizing the warm support offered by local authorities. What can the few hundred metres of Kunara’s stone foundations and its modest written traces add to this prestigious list of archaeological and literary treasures? “The city of Kunara provides new elements regarding a hitherto unknown people that has remained at the periphery of Mesopotamian studies,” enthuses Tenu. The city of Kunara could prompt Assyriologists to reconsider this mountainous region, whose history has until now been written by a single hand, that of the Mesopotamian conquerors. This city was located on the western border of Mesopotamia, at the gates of Mesopotamia’s first empire, known as the Akkadian Empire, which united all of the city-states in the region. It was ruled by some of Mesopotamia’s greatest kings, who bore the laudatory title of “King of the Four Regions of the World.” A military victory won by one of these kings—Naram-Sin, grandson of the founder of the Empire—was immortalized on a stele of pink limestone that is exhibited at the Louvre Museum. “Naram-Sin is depicted triumphing over this people of the mountains, the Lullubi,” Tenu explains. In the exclusively Mesopotamian sources available today, the Lullubi are depicted as “barbarians” living secluded in the mountains. Nothing more than that was known. The first cuneiform tablet discovered in Kunara. It is an administrative text recording deliveries of different types of flour. 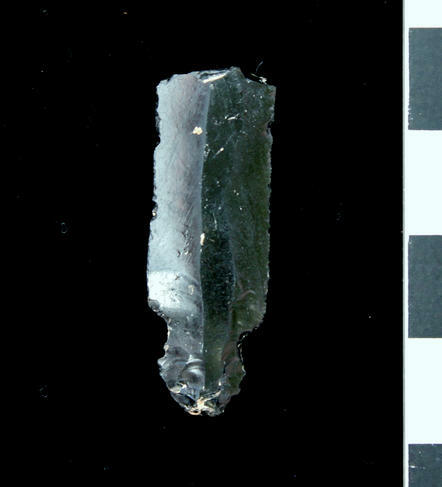 Fragment of an arrowhead made of obsidian. The obsidian comes from Anatolia several hundred kilometers from Kunara. Vase decorated with snakes and scorpions. In the Mesopotamian texts the "Mountain People" are systematically described as horrid barbarians raiding the valleys. Yet seems they had writing, administration, cities and art. Who knew?